The membership of Yendi Youth Parliament in collaboration with National Youth Authority-Yendi paid a courtesy call on His Royal Majesty,Yaa Naa Abukari Mahama II on 20th March,2019 at the Gbewaa palace. The visit by Yendi Youth Parliament was to familiarised itself with the Yaa Naa upon his investiture as the King of Dagbang. The visit on other hand was also to put forward a plea to the King on an aged long call for an autonomous radio station for Yendi and its environs by converting the GBC substation in Yendi into an autonomous broadcasting studio. Other concerns were also put forward for consideration by His Royal Majesty. On his part, Yaa Naa Abukari Mahama II pledged his support for the Yendi Youth Parliament concept and added that; his doors are always opened to them whenever they need his able hand on board. He also assured that he will do everything in his capacity to get the Yendi substation to broadcast to the people of Yendi and its environs as an autonomous radio station. 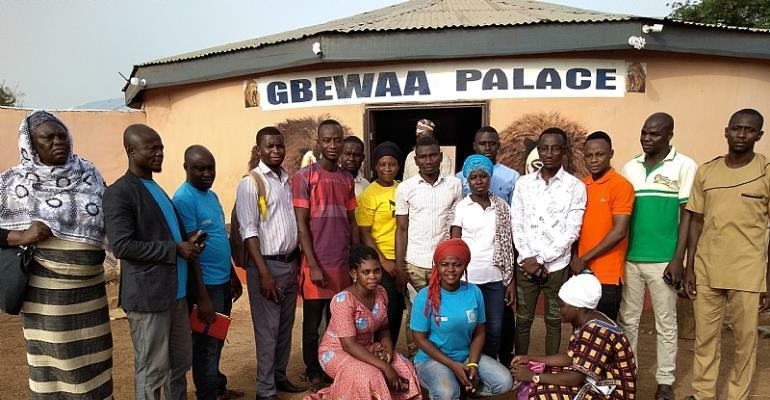 The leadership of Yendi Youth Parliament and National Youth Authority-Yendi also express their delight and assured the King of their availability anytime their services may be needed by the King.